Rydges Campbelltown is ideally located within a strategically designed event precinct that encompasses The Cube Convention and Entertainment Centre, Campbelltown Catholic Club, the multi-award winning Aquafit Fitness & Leisure Centre and the nearby Campbelltown Golf Club. 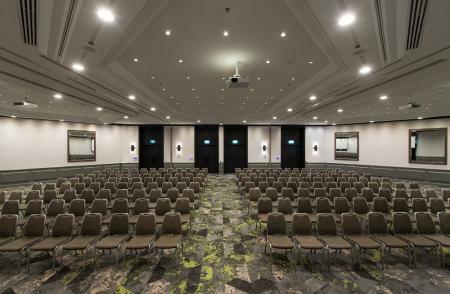 Rydges Campbelltown offers several impressive event spaces - in addition to expansive function space next door at The Cube Convention and Entertainment Centre - that are ideal for meetings of up to 40 guests. 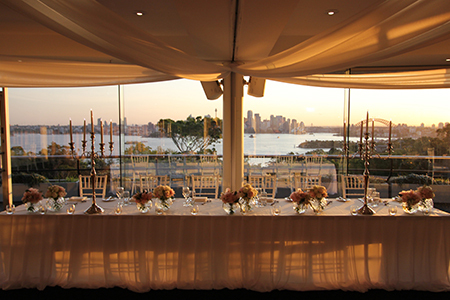 Rooms feature large, fold-back glass doors that allow for either an abundance of light or complete blackout, depending on the lighting your event requires. Conference rooms open out onto the terrace gardens, which offer the perfect venue for tea breaks, lunch and welcome drinks and can accommodate up to 150 people cocktail style. The purpose-built event spaces include state-of-the-art equipment as well as additional amenities for functions and events. Located straight down the M5, less than one hour from Sydney CBD, and in the historic Macarthur region, our hotel is conveniently positioned between Sydney CBD, regional New South Wales and the Australian Capital Territory. 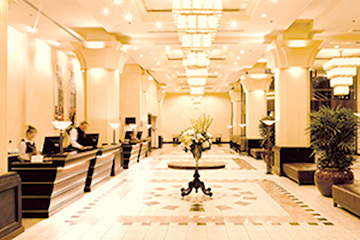 In addition to 4.5-star accommodation, the hotel offers two levels of complimentary secured car parking with more than 700 complimentary parking spaces.